The 2008 financial crisis dramatically changed the global economic landscape. 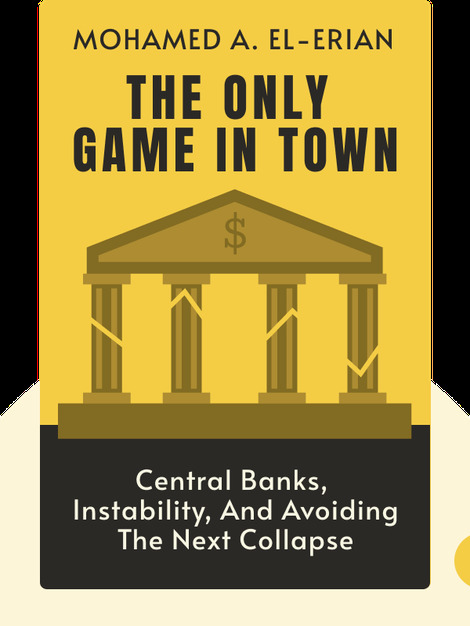 Central banks now play a very different role than they did previously, and we now face a set of new economic risks and problems. The Only Game in Town (2016) outlines the roots of these risks and problems, and what we can do to start overcoming them. 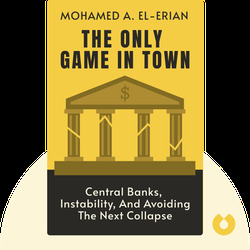 Mohamad A. El-Erian is the chair of President Obama’s Global Development Council and the chief economic advisor at Allianz, the corporate parent of PIMCO. He’s also a contributing editor for the Financial Times, a Bloomberg columnist and has served as the deputy director of the International Monetary Fund. His writings have appeared in Fortune, the Wall Street Journal, the Washington Post and a number of other publications.